Calcium is one of the most abundant minerals in the body, making it extremely vital for one’s health. 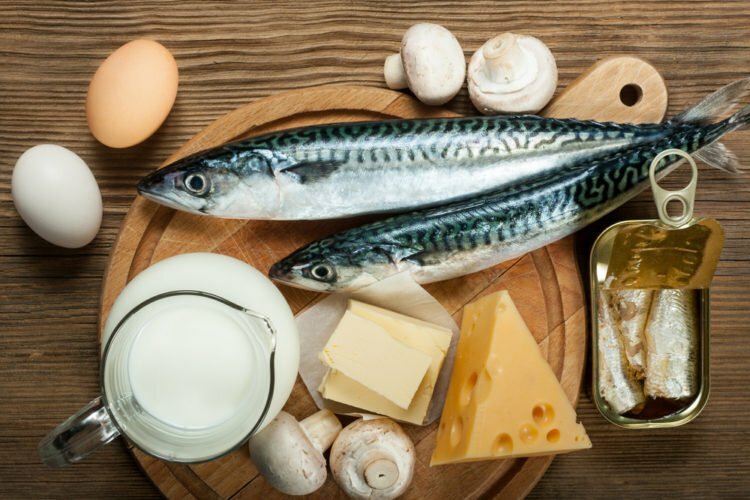 It’s common knowledge that calcium plays an important role in maintaining the health your bones and teeth, but it also plays a part in maintaining cardiovascular health, muscle function and nerve signaling. While the recommended daily intake of calcium is 1,000 mg per day for most adults, many of us are not getting enough calcium through our diet. This is because not all the calcium that we consume is absorbed, and the amount we consume still depends on the source. Vitamin D and magnesium both play a part in how well the body absorbs this vitally important element. The body uses magnesium to convert vitamin D, so that it can help the body better absorb calcium. In fact, one study showed how those who had low levels of vitamin D only absorbed 14% of the calcium from food, when compared to the 58% of calcium absorbed by those with adequate vitamin D levels. Magnesium also helps to keep calcium in the bones, reducing the risk of osteoporosis. Another nutrient that’s important for calcium synthesis is vitamin K, as it too helps to keep calcium in bones. Whether your lactose intolerant, or following a vegan diet, many people do not consume a diet that contains dairy. This then can affect the amount of calcium in your diet. Luckily, there are foods out there that are not only rich in calcium, but in magnesium and vitamin K and D which can all ensure that the body better absorbs this important mineral. 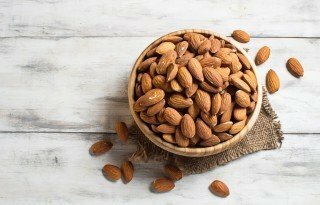 If you needed anymore reason to make almonds your go-to snack, here’s one: An ounce of almonds helps to provide 8% of the recommended daily intake of calcium. If that’s not enough, almonds also contain manganese, vitamin E and magensium- which boosts the body’s absorption of this element. Beans and lentils may be high in fiber, protein, magnesium and folate, but they also contain a good dose of this element. Winged beans contain the most calcium as they contain 24% of the recommended intake, closely followed by white beans, which provide 13%. Thanks to their edible bones, sardines are a rich source of calcium – with one can providing 35% of the recommended intake. Canned salmon is also an excellent source of this element, with three ounces of of canned salmon providing 21% of the recommended intake. If you’re worried about the levels of mercury in these fish, fret not. Not only do they have low levels of mercury, but they both contain high levels of the mineral selenium, which helps to prevent and reverse mercury toxicity. If that’s not enough, these fish also contain vitamin D and this only helps to increase the body’s absorption of calcium. They’re also high in omega-3 fatty acids and that’s always a good thing. Create a delicious, nutrient dense meal by tossing the fish into a salad. 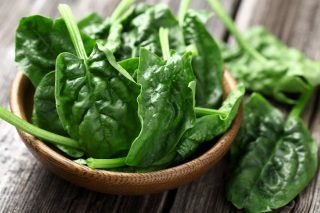 Any meal that incorporates dark, leafy greens is bound to provide a nutritional boosts. Greens such as collard greens, spinach and kale helps to provide an adequate amount of calcium. In fact, one cup of cooked collard greens has a quarter of the recommended intake. While this super-sweet and sticky dried fruit is extremely rich in antioxidants, potassium and fibre, it also contains more calcium than other dried fruits- with one ounce containing 5% of the recommended daily intake.If that’s not enough, figs also contain decent amounts of vitamin K and magneisum. Nutrients that can help the body better absorb and utilize this element. Seeds are extremely rich in nutrients and those high in calcium include chia seeds and sesame seeds. Aside from containing 9% of the recommended daily intake of calcium in 1 tablespoon, these seeds are also rich in antioxidants, protein and the very essential omega-3 fatty acids. Don’t be shy to make these seeds your next snack or even add them to a salad. While this fruit is mostly recommended to ensure that you reach your recommended intake of vitamin C, oranges can also do the same for calcium. As well as providing the immune-boosting vitamin C content, one large orange can help to provide 6% of your calcium intake for the day. While dairy products can provide calcium, there are plenty of other good sources out there that can ensure that you not only meet your calcium needs but also help to provide other vital nutrients.